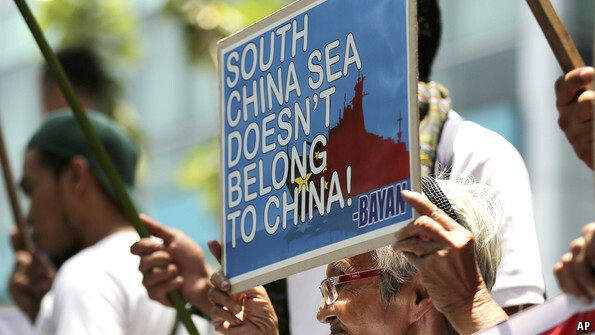 On Monday, 13 July 2015, the Arbitral Tribunal concluded the hearing on jurisdiction and admissibility in the arbitration instituted by the Republic of the Philippines against the People’s Republic of China under Annex VII to the United Nations Convention on the Law of the Sea (the “Convention”). SCSC - Recently, China has been conducting a large-scale land reclamation at 7 shoals and reefs in the Spratlys which they illegally took over from Vietnam. Notably, on Fiery Cross Reef, the reclamation area is five times larger than Itu Aba, formerly the largest island of the Spratlys. International public opinion shows that the activities of China have violated international law, threatened peace and stability in the region, caused environmental pollution and destroyed marine ecosystems. SCSC is pleased to introduce a video clip reflecting this new situation. SCSC - More than two thousand years ago, China's Han Dynasty launched the Silk Road, a sprawling network of commerce that linked South and Central Asia with the Middle East and Europe. Recently, the Permanent Court of Arbitration placed in The Hague, The Netherlands has issued its third Procedural Order for the case between the Republic of the Philippines against the People’s Republic of China. Down here the Southchinasea.com has edited and brought out the full text of the third Procedural Order. 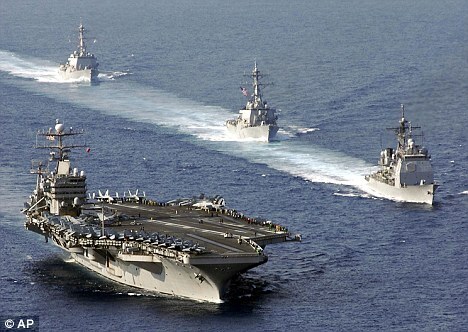 SCSC - If one day China does really enforce outright sovereignty over the Nine Dash Line (even permitting innocent passage to continue), this will be taken as a direct challenge to the US and the established rules of the open sea. Japan would feel most threatened. Shipping would be diverted away from the Malacca chokepoint to the straits opposite northern Australia (where, as it happens, US Marines recently established a presence). SCSC - In the words of Secretary of State John Kerry, no two countries "have worked harder, done more, and done better to try to bring themselves together and change history and change the future" than the United States and Vietnam. SCSC - The South China Sea is arguably one of the world’s most dangerous regions, with conflicting diplomatic, legal, and security claims by major and mid - level powers. To assess these disputes, CSIS brought together an international group of experts—from Australia, Canada, China, Indonesia, Japan, Malaysia, the Philippines, the United Kingdom, the United States, and Vietnam. On May 14th 2014, Viet Nam’s Nguyen Dynasty Official Documents were recognized as a Memory of the World for Asia - Pacific. This decision was made at the 2nd session of the 6th plenum of the Memory of the World Committee for Asia - Pacific (MOWCAP), which took place in Guangzhou, China with the participation of 54 delegates from 17 countries. With outstanding features in terms of contents, formats and styles, the “Nguyen Dynasty Official Documents” were nominated among 20 documents to be recognized by UNESCO as a “Memory of the World for Asia - Pacific”. On July 30th 2014, Hanoi held a ceremony upon receiving the certificate of the “Memory of the World for Asia - Pacific” recognized by UNESCO for Viet Nam’s Nguyen Dynasty Official Documents. SCSC - The rocks and coral known as James Shoal are not much: just a raised stretch of seabed 22 metres (72 feet) below the surface and 107km (67 miles) off the coast of Malaysian Borneo.